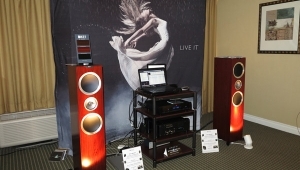 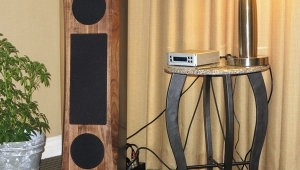 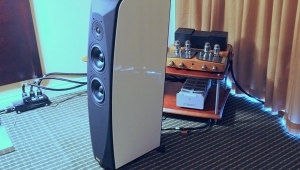 At $12,600/pair, the two-way S1 is the least-expensive speaker to come from Magico. 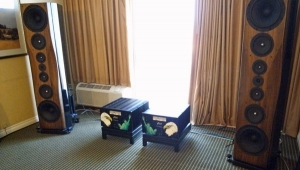 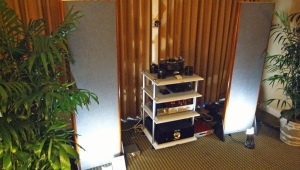 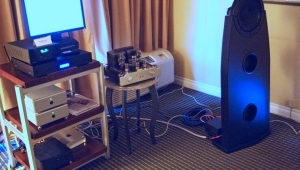 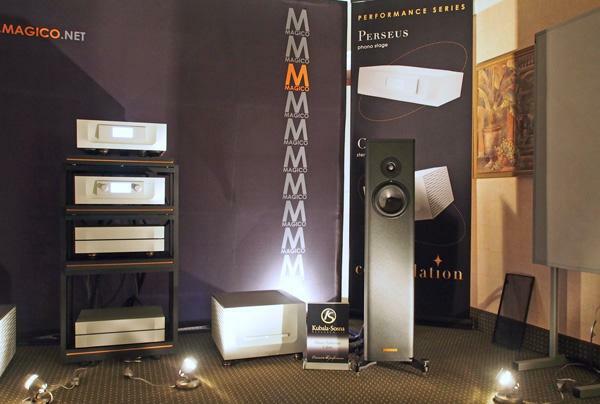 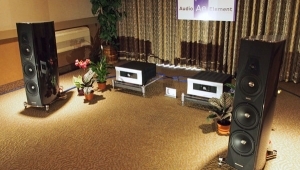 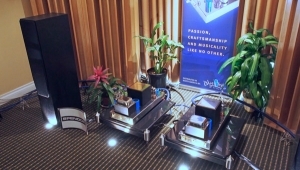 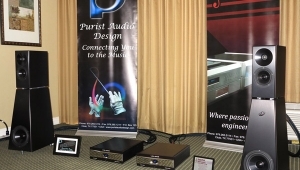 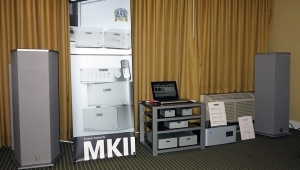 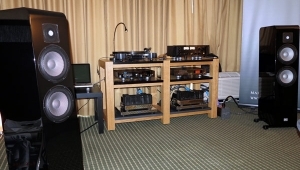 Nevertheless, in a relatively large room at the Atrium, driven by the Constellation monoblocks ($54,000/pair) that Mickey Fremer will be reviewing in the October issue, and the Constellation Virgo preamp ($29,000) had an ease to its sound, coupled with an almost full-range balance with palpable imaging. 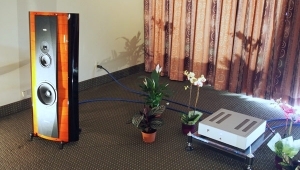 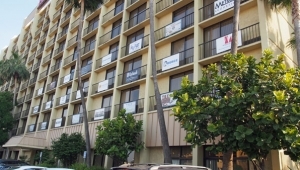 Source was Constellation’s new Cygnus server ($29,000), controlled by an iPad app, and cables were all Kubala-Sosna. 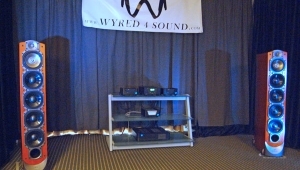 Expensive electronics but this system was one of my best sounds at the Show. 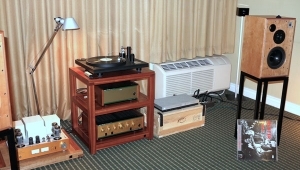 (And I’m not just saying that because Constellation’s Peter Madnick played one of my favorite Cantus tracks, an acapella treatment of Curtis Mayfield’s “It’s Alright,” which I recorded live at Minneapolis’s Southern Theater in 2008. 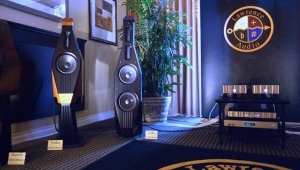 From what we heard in this room that seems fair for these speakers.